YouTuber DEE BATCH shared some interesting Assassin’s Creed information recently. In his video report from Fan Expo Canada, he said that Ubisoft developers confirmed at the convention to be working on a 1080P@60fps mode for Microsoft’s upcoming Xbox One X console. If so, that would definitely be an interesting option for those who favor smooth gameplay over graphics definition. Very few open world games manage 60 frames per second on consoles and considering that Assassin’s Creed Origins has been confirmed to be the largest open world in the franchise yet, this would be quite the achievement from Ubisoft Montreal. The question is, how did they do it? We can only speculate at this point, but we already know that Assassin’s Creed Origins uses dynamic resolution scaling as Ubisoft revealed that when they talked about the 4K@30fps mode. It’s possible that the resolution could drop below 1080P as needed. Another noteworthy question is whether there will be a similar 1080P@60fps mode on Sony’s PlayStation 4 Pro console since there isn’t much difference between the two consoles’ CPUs. But we’ll probably have to wait a little more to know the full specifics ahead of the scheduled October 27th launch. 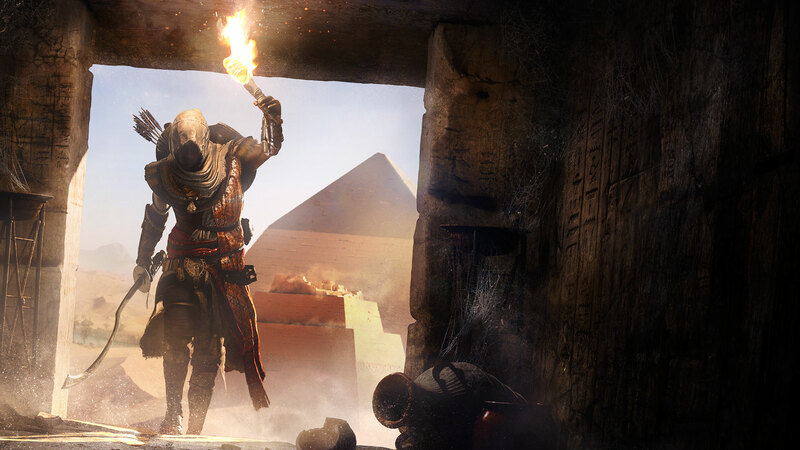 In related Assassin’s Creed Origins news, Ubisoft Montreal’s Game Director Ashraf Ismail appeared yesterday on a PAX West live stream and revealed some new tidbits. Among various side activities, players will be able to compete in Hippodrome racing events. These will be introduced in the story to explain exactly why main character Bayek is interested in participating and then you’ll be able to join them as you please. At that time, during the Ptolemaic period, Hippodromes were quite common in Egypt. Also, the game (which is supposed to detail the birth of the Brotherhood) will contain plenty of anecdotes connecting it to previous franchise entries, which should be a nice bonus for Assassin’s Creed fans.